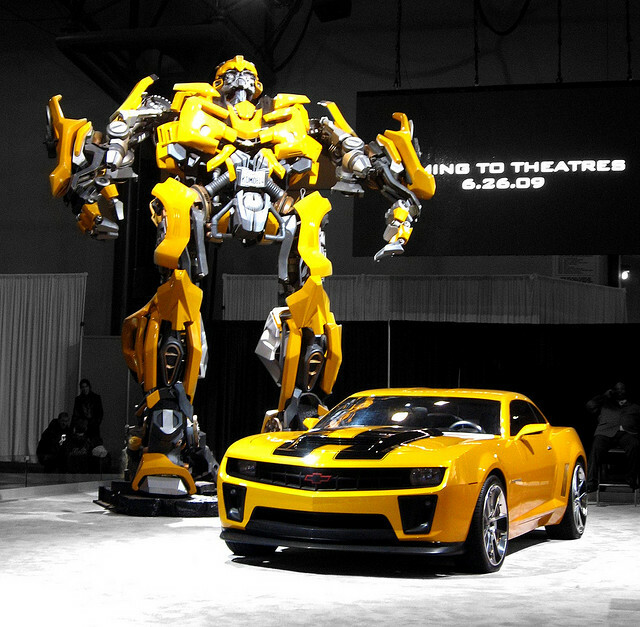 Transformers : Dark of the Moon is coming out soon and guess what!? I was lucky enough to get an invite to the PREMIERE screening of The most anticipated movie of 2011 which is hitting Malaysia next week, together with the very lovely Ami and Aimie. Talk about triple AAAwesomeness:P Anyways, big thanks to team Chevrolet, Leo, and Ami . 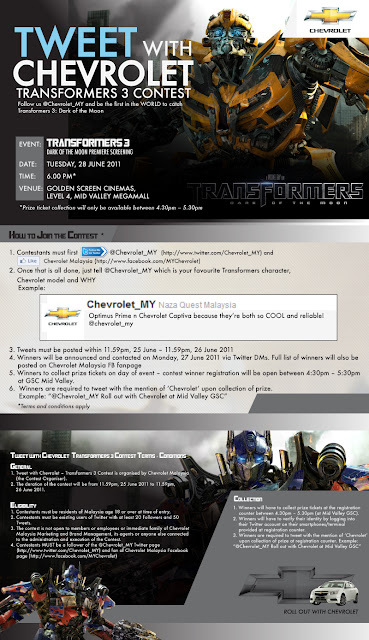 And get this, Chevrolet also wants YOU to be the first in the WORLD to roll out with Chevrolet for the premiere screening of Transformers 3: Dark of the Moon. Wanna be among those first few people to watch Transformers 3 in the WORLD? Stand a chance to do so by entering this TWEET contest!